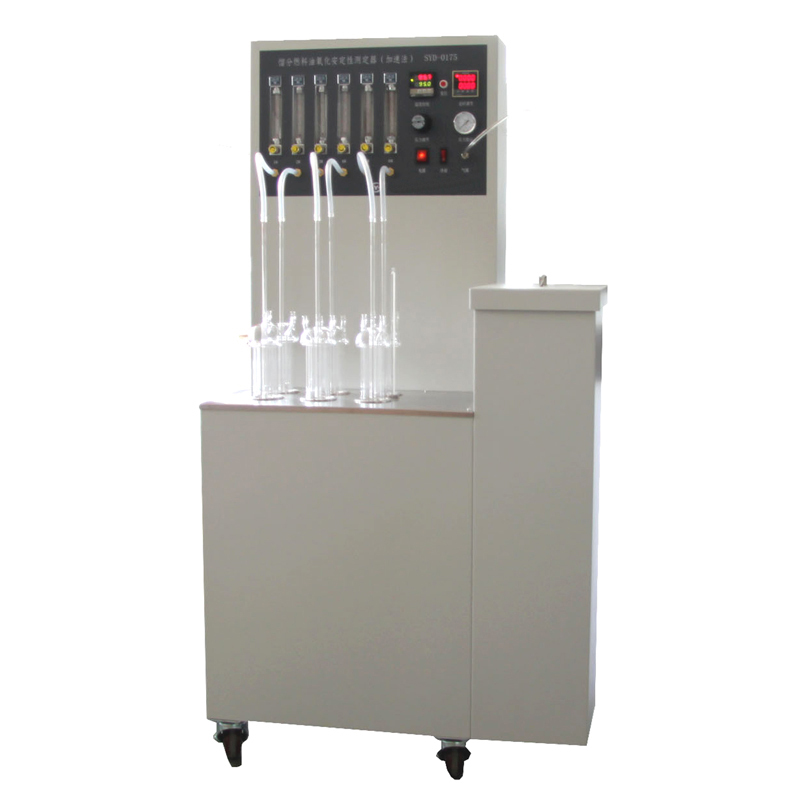 The instrument is designed and made as per national standard of People’s Republic of China SH/T0175 Standard test method for oxidation stability of distillate fuel oil (accelerated method) and ASTM D2274 Standard Test Method for Oxidation Stability of Distillate Fuel Oil (Accelerated Method).It is suitable to determine the oxidation stability of distillate fuel oils with accelerated method. 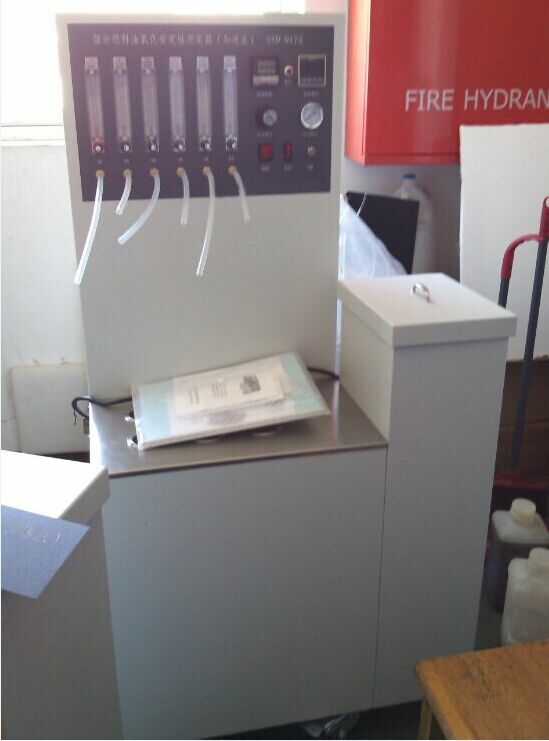 The instrument adopts metal bath structure. No need to add water during determination. Clean and eco-friendly. Easy to operate. It is the preferred automated instrument to determine the oxidation stability of distillate fuel oils for the units of petroleum mining, producing and using and other relevant colleges and scientific research institutions. 1. Floor type and unit-body structure. Stainless steel working table. Easy to use. 2. Metal bath. No need to add water during determination. No pollution and energy saving. 3. Six test baths and six flow meter. It can determine six samples at a time. Working efficiency is high. 4. The heating rate can be adjusted continuously.